DUBAI, 26 September, 2018 – Expo 2020 Dubai’s unique visitor experience will be enhanced, thanks to a new premier partnership with Mastercard that includes exploring the use of payment technologies from virtual reality to biometrics and voice shopping. 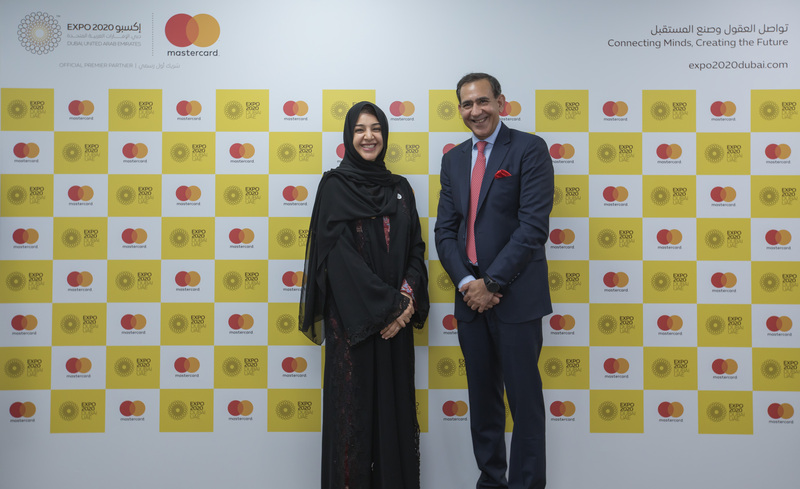 The company was today revealed as Expo 2020’s Official Payment Technology Partner at Mastercard’s ‘Connecting Tomorrow’ Forum in Barcelona, Spain. The partnership includes developing innovative payment solutions that help deliver a personalised, seamless and cashless experience for millions of visitors from around the world. Global payments technology firm Mastercard will offer its innovative payment solutions, using technology including augmented and virtual reality, and biometrics such as facial and fingerprint recognition, as well as new payment methods including contactless and wearable technologies. Her Excellency Reem Al Hashimy, UAE Minister of State for International Cooperation and Director General, Dubai Expo 2020 Bureau, said: “World Expos have always offered people their first experience of technologies that will go on to change their everyday lives. Raghu Malhotra, President, Middle East and Africa, Mastercard, said: “For more than half a century, Mastercard has been transforming everyday experiences through the power of innovation. Our expertise, strategic partnerships and global network have enabled us to empower citizens, make cities more livable and contribute to a sustainable future and inclusive communities. Expo 2020 Dubai is a celebration of human ingenuity, guided by the belief that innovation and progress are the result of people and ideas combining in new ways. To date, Expo 2020 Dubai has announced 11 Premier Partners, including Mastercard, and four Official Partners. There will be further partnership announcements in the coming months.